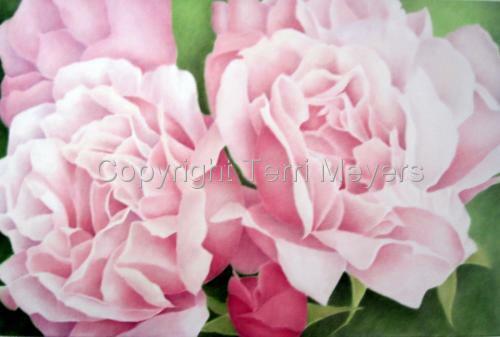 Oil painting of large pink roses with bud on green background of gallery wrap canvas. 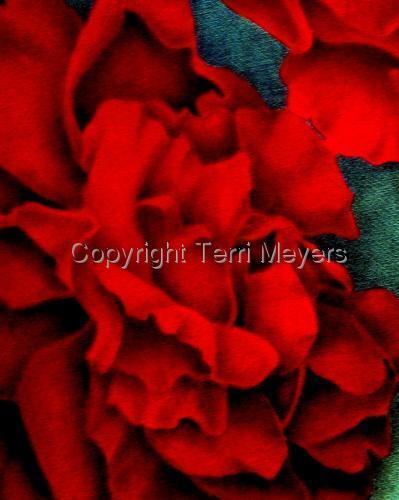 5" x 7.375"7" x 10.375"9" x 13.25"11" x 16.25"13" x 19.25"15.75" x 23.25"
Oil painting of red rose on gallery wrap canvas. 6.25" x 5"7.5" x 6"8.75" x 7"10" x 8"11.25" x 9"12.875" x 10.375"
Red Tulips Oil on Canvas. 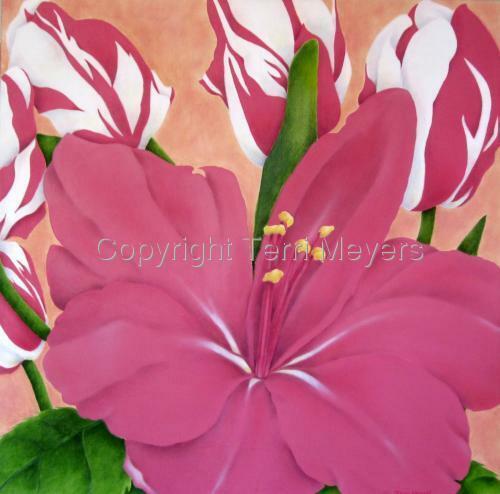 10.25" x 5"12.25" x 6"14.375" x 7"16.375" x 8"18.375" x 9"23.25" x 11.375"
Oil painting of pink Lily with pink and white striped Tulips, green leaves on peach background. 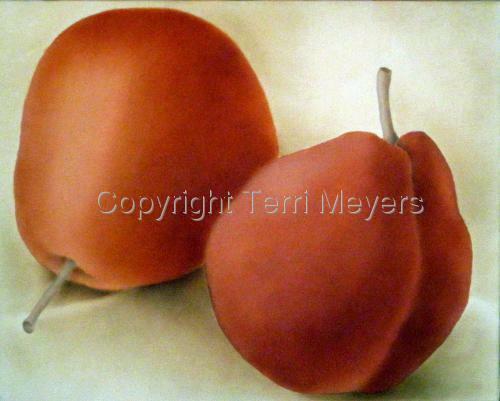 5" x 5"7" x 7.125"9" x 9.125"11" x 11.125"13" x 13.125"13.625" x 13.75"
Oil painting on canvas of 2 pale peach Roses on blue gray background. 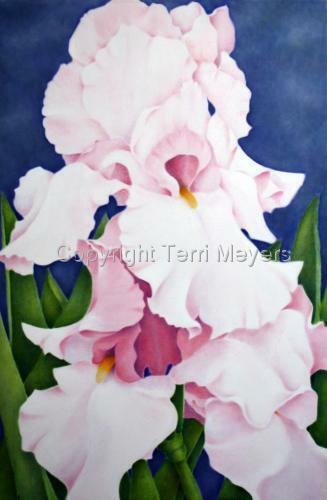 10.25" x 5"12.375" x 6"14.375" x 7"16.5" x 8"18.5" x 9"21" x 10.25"
Oil painting on canvas of pale pink Iris on blue background. 7.625" x 5"9.125" x 6"10.625" x 7"12.25" x 8"13.75" x 9"17.75" x 11.625"